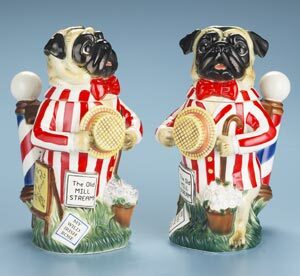 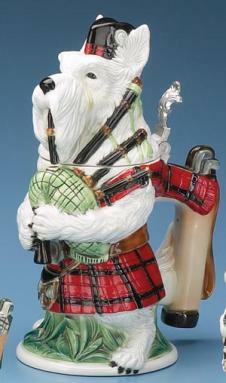 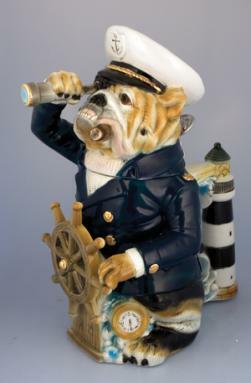 This porcelain stein features a detailed sculpt of a pug dressed as a member of the barbershop quartet, The Pugtones. 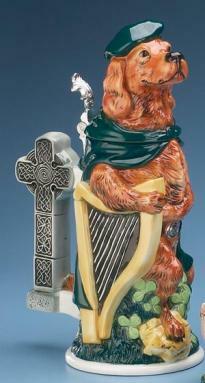 A sign bearing the group's name as well as sheet music of barbershop standards such as Sweet Adeline, The Old Mill Stream, and My Wild Irish Rose add to the charm. 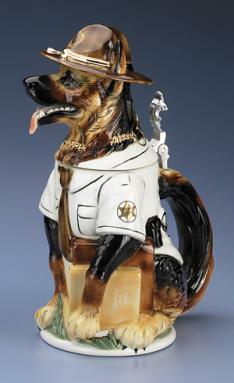 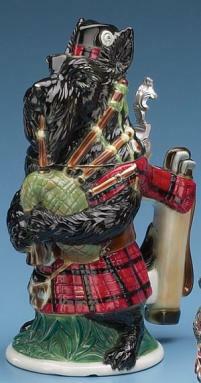 The barber pole handle adds the finishing touch to a wonderful stein. 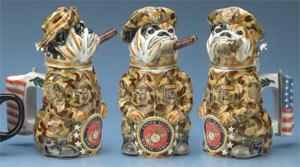 Limited Edition of 5,000 individually numbered pieces.